a warm tongue without words and pigment coats eager fingers. Water cuts through mountains, a creature, a creative, a volcanic eruption…. 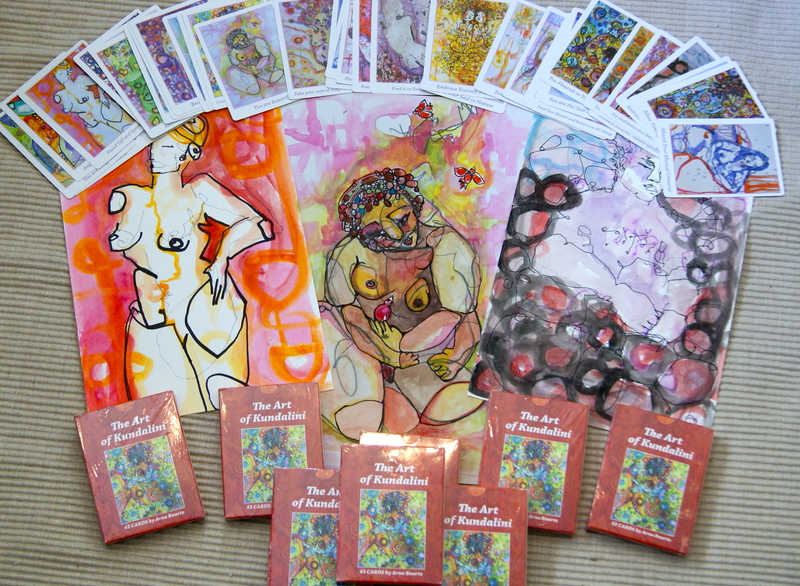 I AM EXCITED to share with you my latest major creation The Art Of Kundalini Inspirational Card deck. If anyone has read my Kundalini article they will know that integration of this energy into my physical being and life has been a strong and real (sometimes frightening) always rewarding and ongoing experience for me. Since meeting my Kundalini and really consciously beginning my personal development journey I have been enthusiastically wishing to share my philosophy with others. 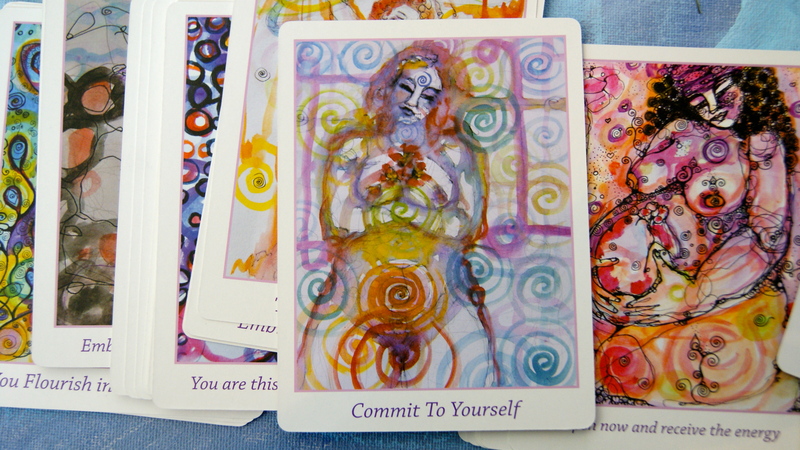 These cards I have created are simple reminders that we are energy and light. 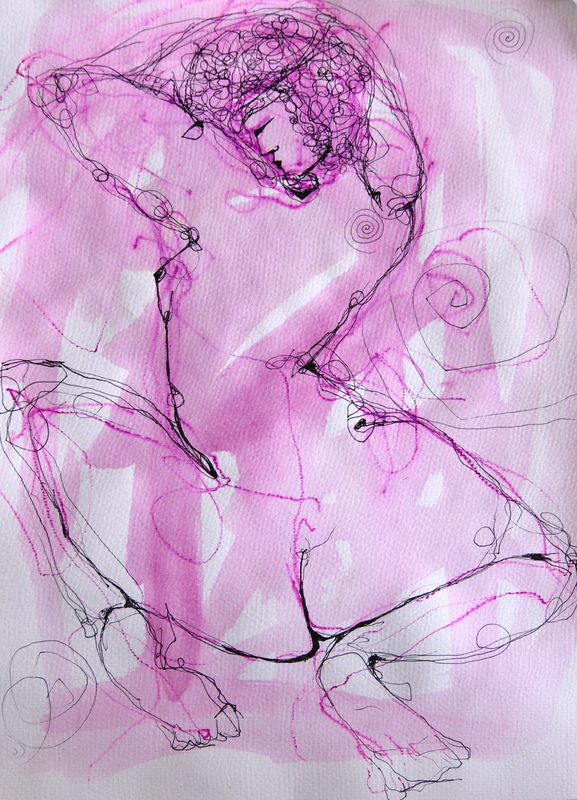 Combined with images of my artwork they can be used as tools to trigger your own awakening. If I had only one message for others as they travel the world of enlightenment and energy and Kundalini it would be to SURRENDER, allow your body mind to let go as best you can and the whole journey will be so much easier. 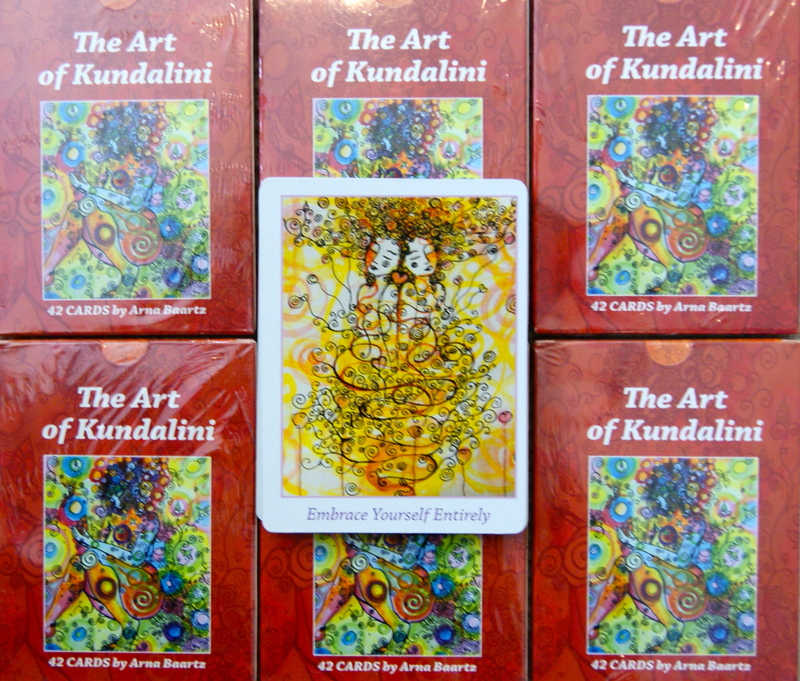 You are also invited to download the FREE Art of Kundalini ebook which accompanies the cards (but you don’t need the cards to enjoy it). more and more I laugh and yet it stays. that begs the acceptance that offers hope………. that gives….